Every day, our employees make a difference in the lives of thousands of pets and touch the lives of many people in our community. 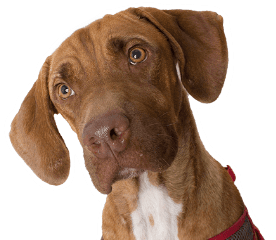 Join the team at the Humane Society of Southern Arizona and be part of the oldest and largest nonprofit animal welfare organization in Southern Arizona serving pets and the people who love them! Visit HSSA during business hours and fill out an application. Download an application and fill it out ahead of time. Bring it to HSSA during regular business hours. Email your résumé to Human Resources at lgagnon@hssaz.org or fax it to 520-325-7190. The Humane Society of Southern Arizona provides equal employment opportunities regardless of race, color, citizenship status, national origin, ancestry, gender, sexual orientation, gender identity, age, religion, creed, physical or mental disability, marital status, veteran status, political affiliation, genetic information or any other factor protected by law. Background and drug screenings are required for all employment opportunities. We receive a high volume of résumés and applications and unfortunately are unable to respond to each of them. If your qualifications meet our requirements the HR department will contact you to set up an interview time. No phone call, please.